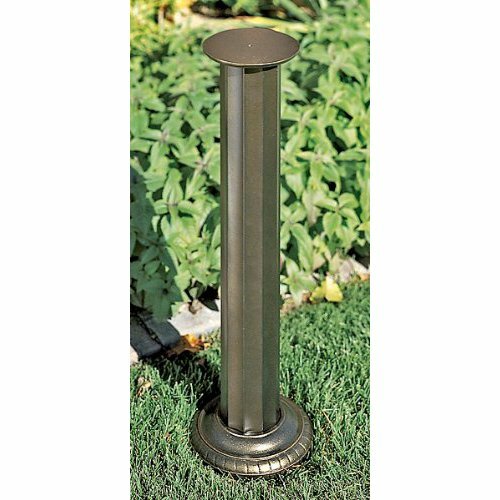 Aluminum Roman Sundial Pedestal - French Bronze, Made in United States, Made of Aluminum, Color: French Bronze. Fully functional pedestal includes hardware for attaching your sundial. Matches up to any Whitehall sundial or sundial/birdbath. Makes a great first impression, enhancing the curb appeal and value of your home. Product Dimensions: 8"L X 8"W X 26"H, Color: French Bronze. Material: Aluminum. Warranty: 1-Year. Country of Origin: Made in USA.